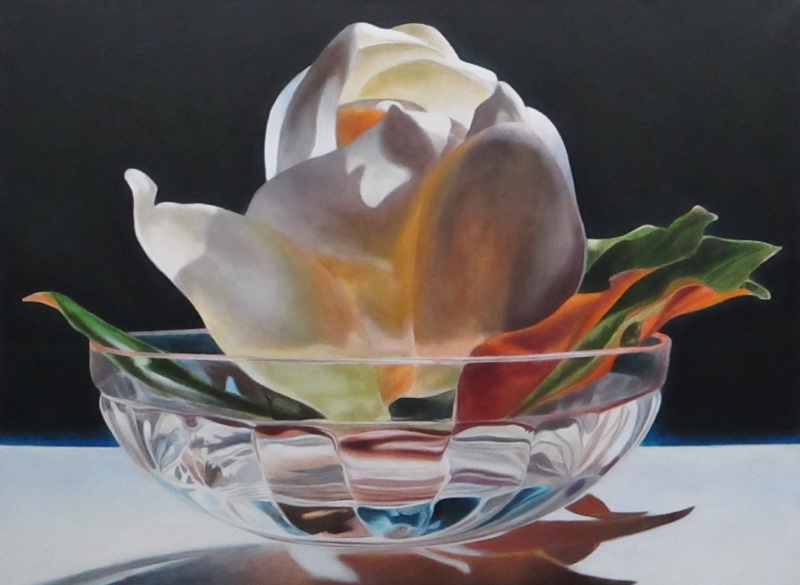 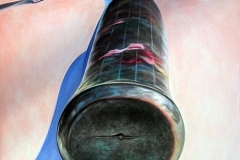 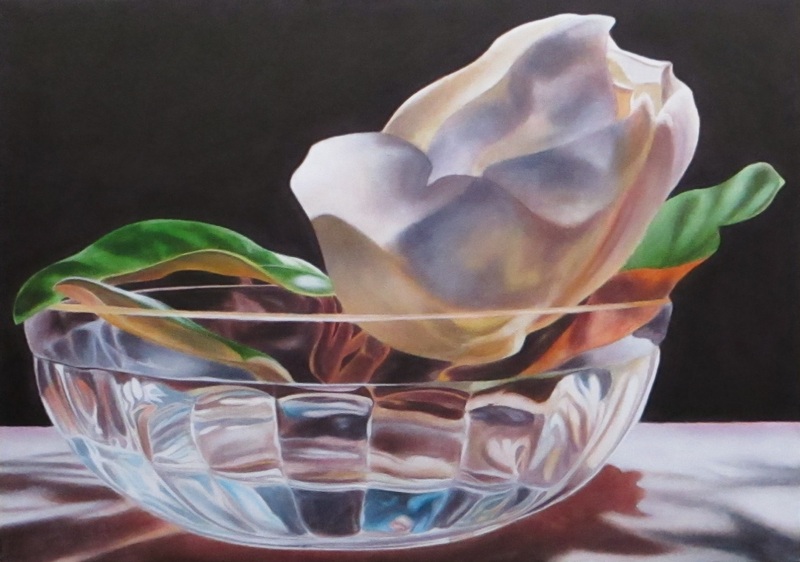 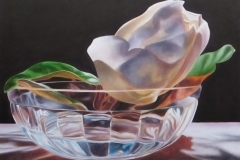 "Raft #1-Magnolia in Glass Bowl"-25"x33.5"-SOLD. 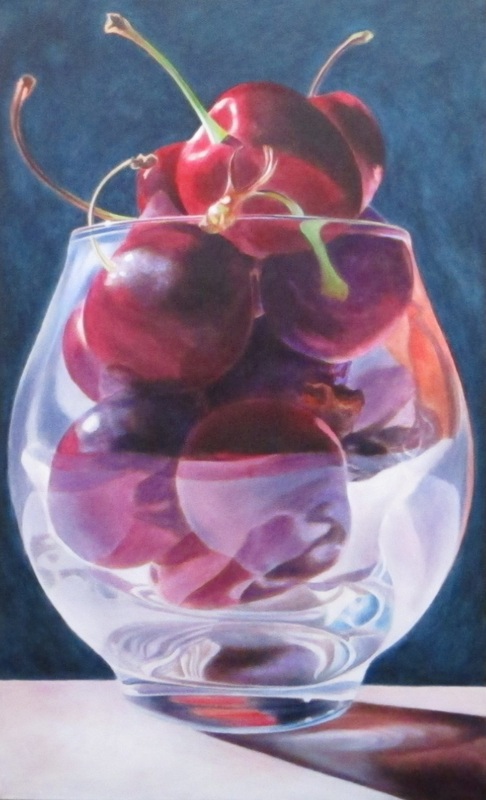 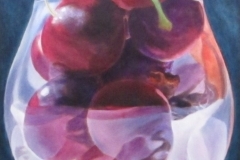 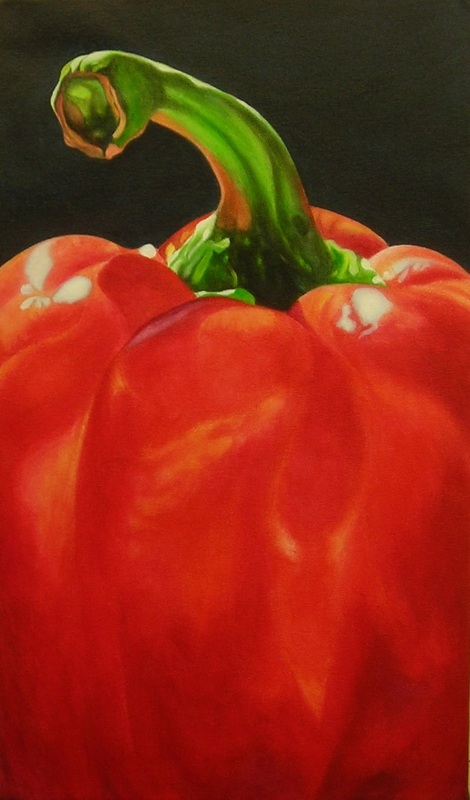 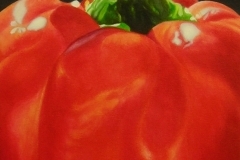 CHERRIES #3" acrylic on canvas 31"x19". 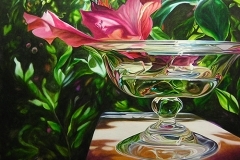 "Raft #3-Magnolia in Glass Bowl" 23"x33" acrylic on canvas. 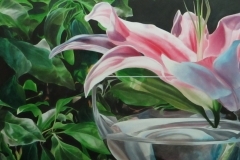 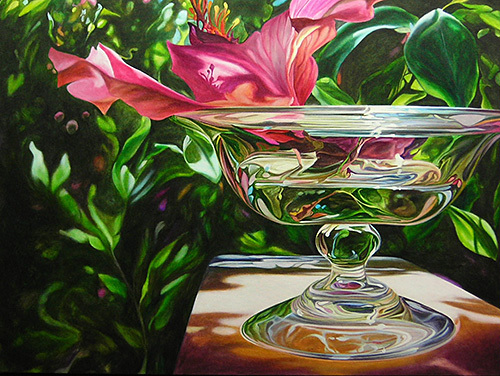 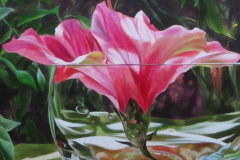 "Raft #4-Hibiscus in Glass Bowl" 24"x40" acrylic on canvas. 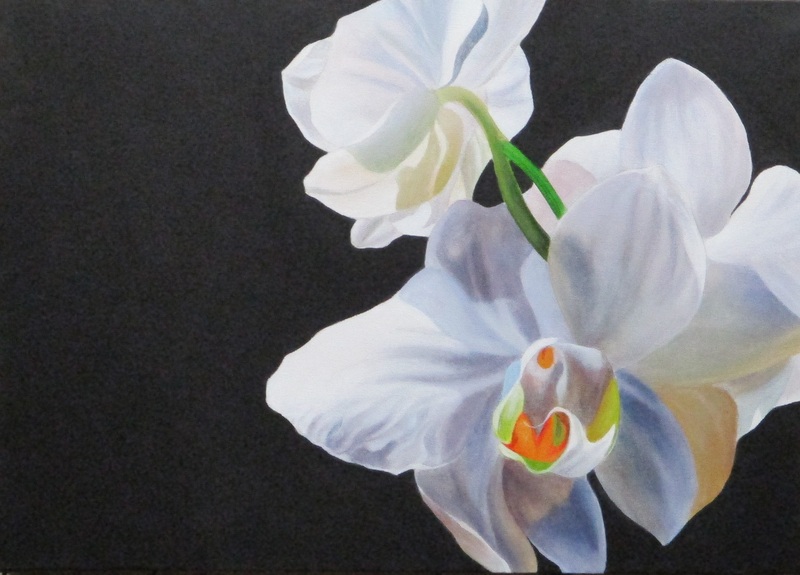 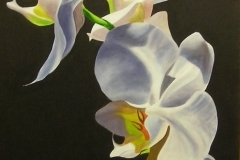 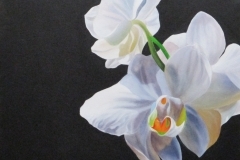 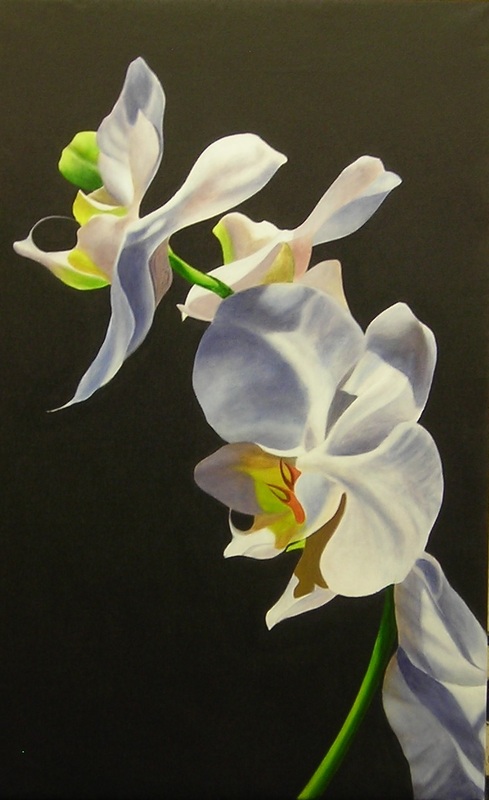 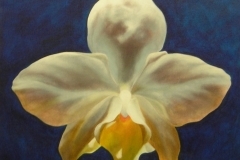 "ORCHID 11"- 15"x 22" acrylic on canvas. 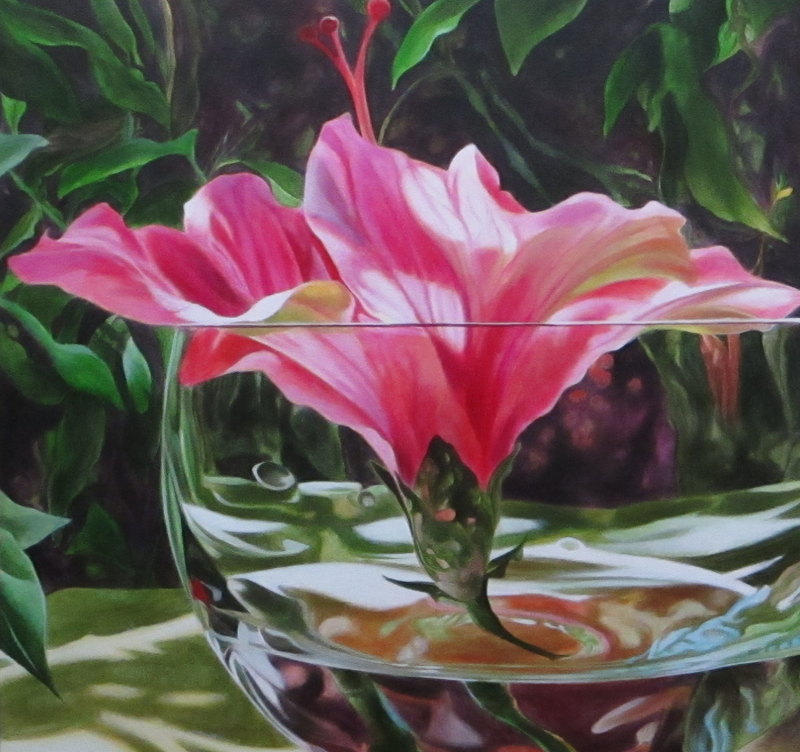 "HIBISCUS 1" 23"x24" acrylic on canvas.-SOLD. 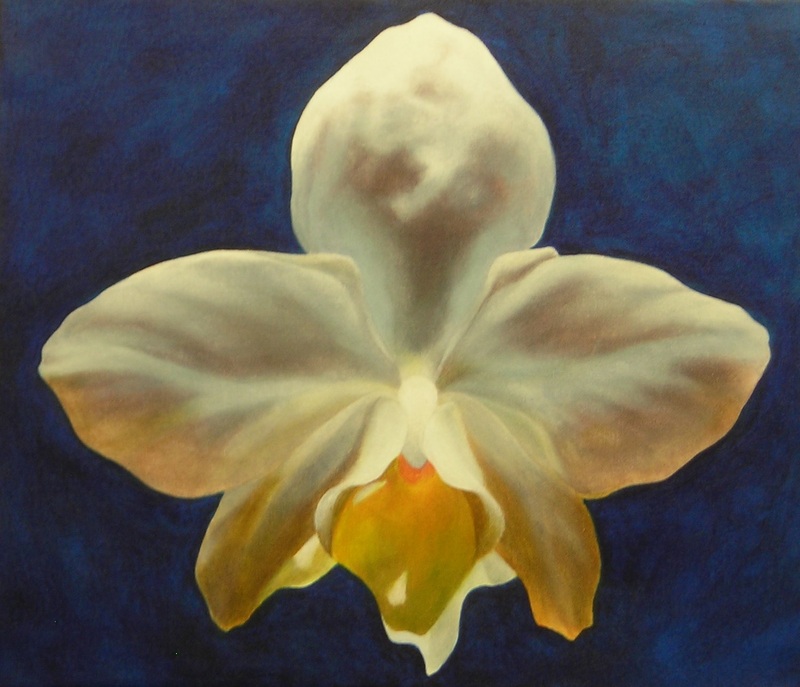 "ORCHID #6 "16 x 19" acrylic on canvas. 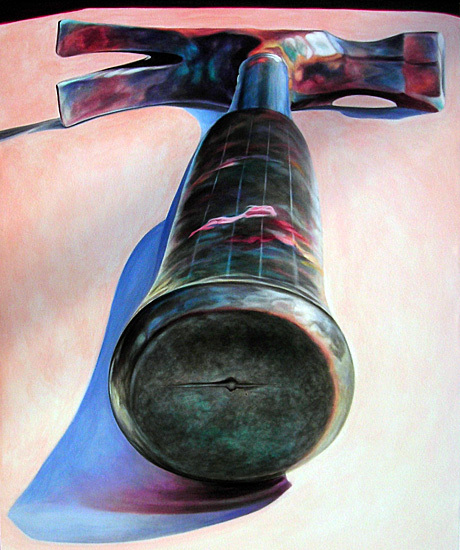 "Hammer"- Acrylic on canvas 45" x 37"
These paintings represent a visual interpretation of the effects of light on a variety of subject matter. 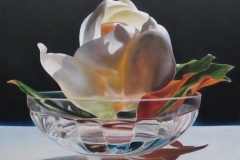 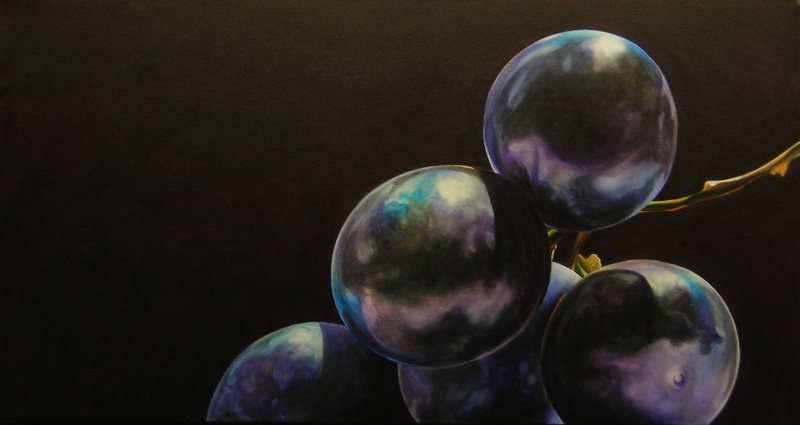 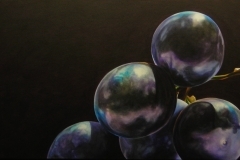 Experimentation with the direction of light on these subjects has created an avenue of expression which explores the aesthetic relationship between painting, music and poetry.